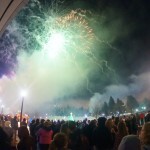 First Night Spokane is the city’s big New Year’s Eve celebration, and there are dozens of activities happening throughout the downtown area. 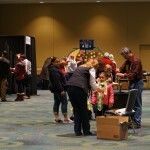 Free family-friendly expo happens in the afternoon with craft projects and booths sponsored by local businesses and organizations. The evening kicks off with a parade through downtown that ends at the Performing Arts Center. First Night buttons are required for access to the indoor events, but one button gets you into multiple events; music, magic, comedy, dancing, and more. My friend Alex Zerbe, the Professional Zaniac, coordinates the talent and booked me. (He’s been trying to get me to come for years, but I’ve always had other NYE gigs.) It’s Alex’s twelfth consecutive year of working the gala! 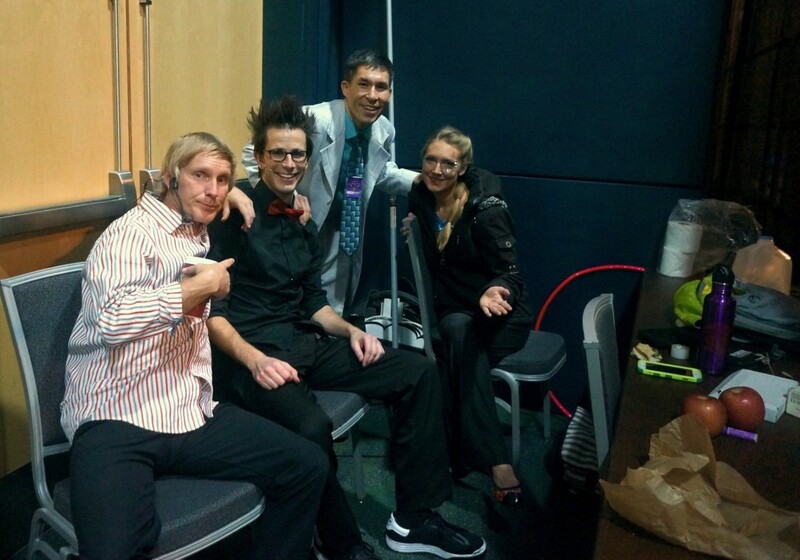 I performed both on the variety stage as well as on the INB Performing Arts Center. 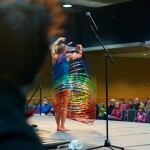 Other variety performing artists were Huly Hillary, a fantastic hula hooper, and Peter Irish, a 5-time world champion at footbag (aka hacky sack). Between the two of them and physical comic and mad dancer Alex Zerbe, the show was loaded with talent. 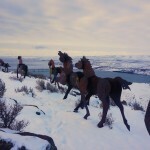 It was also a great mix, with everyone bringing something different and fun to the night. 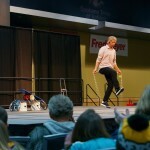 Peter Irish jumps rope while doing footbag – crazy difficult! 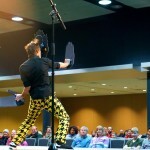 Learn more about my upcoming public shows and be a fan at www.facebook.com/jeffevansmagic. 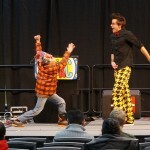 For details about adding comedy and magic to your festival or event, call Jeff Evans at (360) 412-5064 or send e-mail to jeff[at]amazementproductions.com. 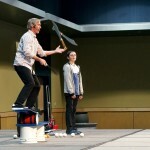 This entry was posted in Uncategorized and tagged First Night Spokane, magic show, New Year's Eve, Spokane, Spokane magician, Spokane NYE. Bookmark the permalink.